SUBSCRIBE for monthly updates on Products, Projects & more. 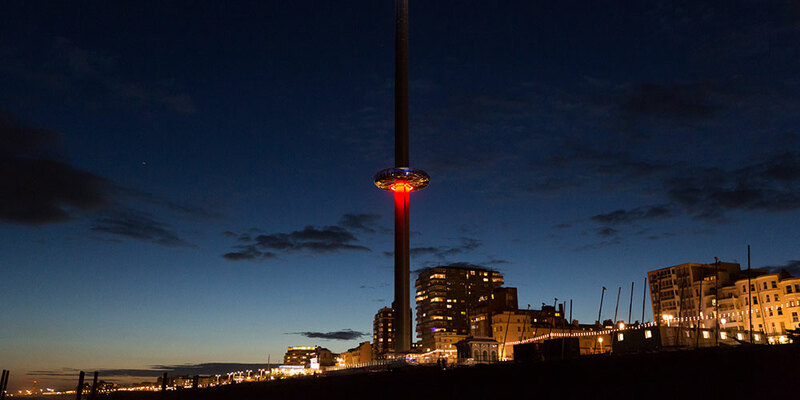 Located on the Brighton seafront, British Airways i360 is the world’s tallest moving observation tower. 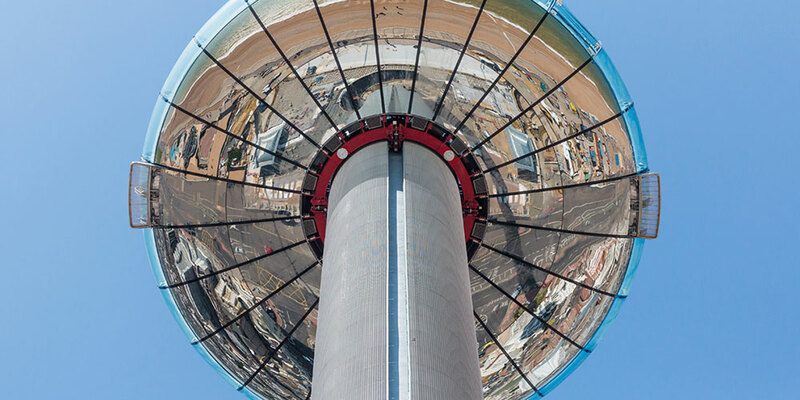 It allows visitors to glide up to 450 feet in a fully in a fully enclosed futuristic glass viewing pod to admire stunning views of Brighton and a beautiful panorama of the South Coast and English Channel. The viewing pod is ten times the size of a London Eye capsule and can carry up to 200 passengers. ‘Flights’ are approximately 20 minutes long. 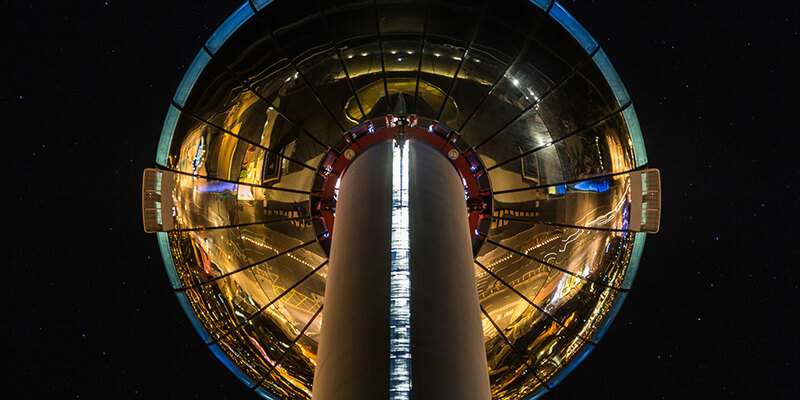 Optelma worked closely with Marks Barfield Architects, creators of the London Eye, to light this new record-breaking attraction. Optelma was a subcontractor to Poma, the French leading player in ropeway transportation solutions in charge of the pod design and build. Selected for it’s ability to match the exact dimensions required, Optelma’s Quad Curved Linear System lights the interior of the pod with a continuous ring of light more than 30 Metres in length. An RGBW colour-changing light source allows the lighting to change dynamically during the ‘flight’. Embarkation and disembarkation require the pod to be illuminated in white for safety reasons, whilst at night the colour fades to blue. This allows stunning views for miles around to be enjoyed, uninterrupted by glare or reflection.